From Chicago Drive, travel south on 112th to Paw Paw Drive. Travel east on Paw Paw to the entrance. *All facilities except hiking trails are universally accessible. This map shows amenities, parking areas, features and trails. 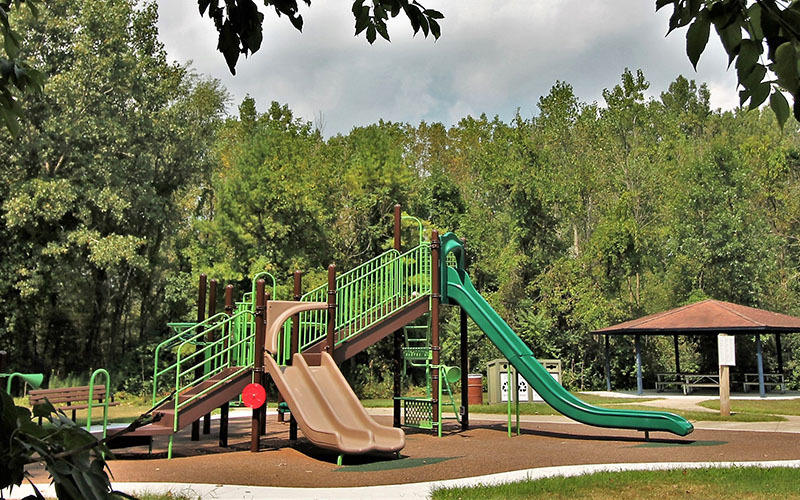 With the 2015 addition of 50 acres of adjacent leased park property from the City of Holland, this now 172-acre park (formerly known as Macatawa Greenspace) is being reintroduced as Paw Paw Park. 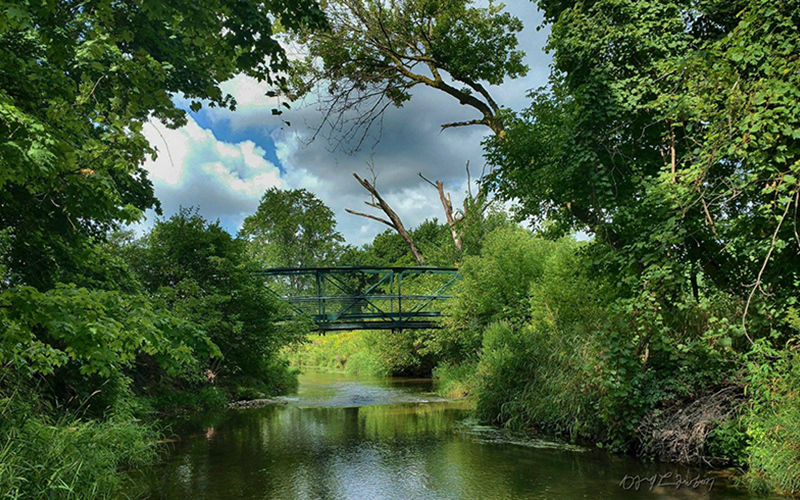 The park now has two distinct and unique properties connected by a portion of the regional bike path known as the Macatawa Greenway Trail. The portion of non-motorized trail constructed in 2015 was funded through a “Building Healthy Communities Grant from the Michigan Department of Health in collaboration with the Ottawa County Health Department. The east-122 acres of the park is the site of the former Holland Country Club, a golf course that served the Holland area for many decades. The property was acquired by the Ottawa County Parks and Recreation Commission in March of 2010 for $450,000. Funding was provided by the county parks millage plus $70,000 in donated funds raised by the Outdoor Discovery Center Macatawa Greenway. 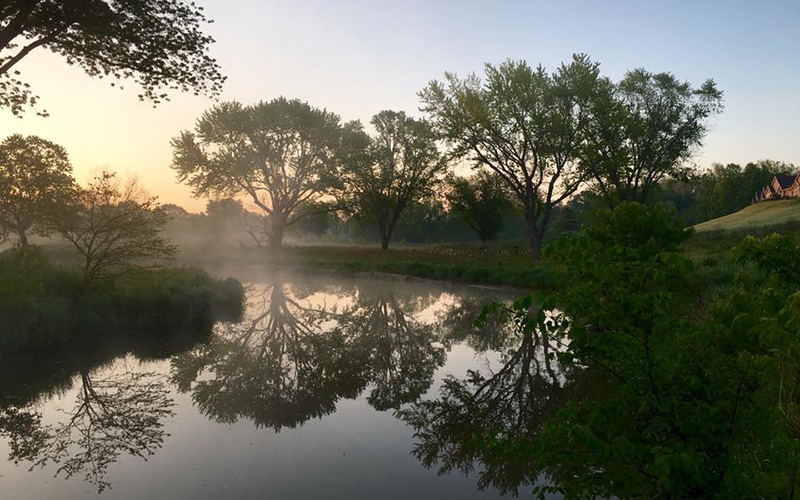 Since the purchase, the site has gone through a dramatic transformation, converting the manicured golf greens and fairways to a mosaic of restored native habitats and park improvements. The park encompasses the union of the Macatawa River and the Noorderloos Creek. The restored wetland is a birders delight, home to many waterfowl including Great Blue Herons. The bridges, boardwalks and observation decks take you beside the river, offering treasured, scenic views of the natural world within the City of Holland. 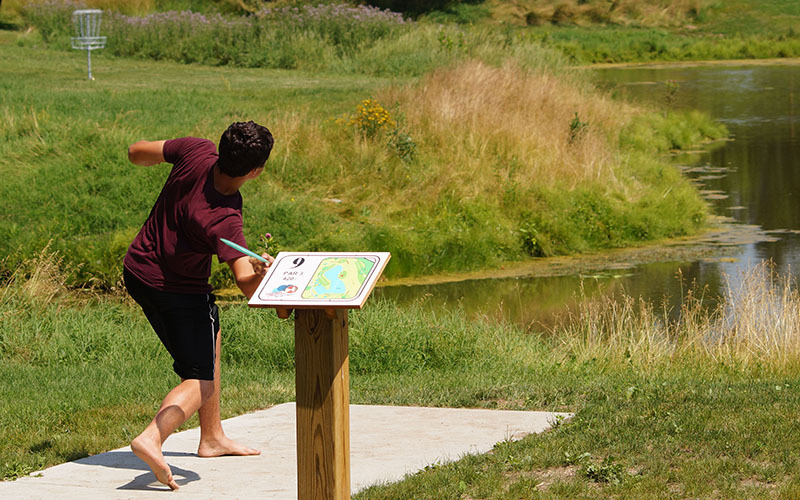 Enjoy a game of disc golf or explore the park via foot or bike on paved and natural surface trails. 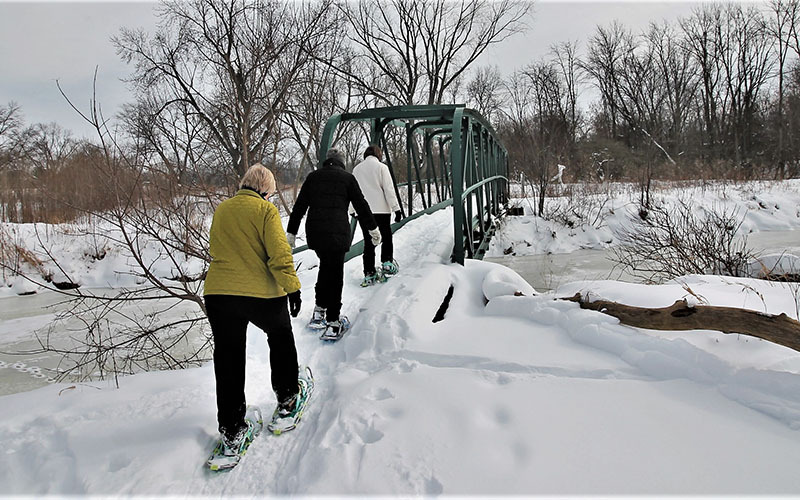 During the winter months, appreciate winter serenity in snow shoes or cross county skis.